The Scotts Cordless Pruner is powered by a 7.2-Volt lithium-ion battery, giving you up to 800 effortless cuts per charge. Pruner doubles as a handheld pruner as well as a pole pruner to trim those hard to reach places safely from the grown. 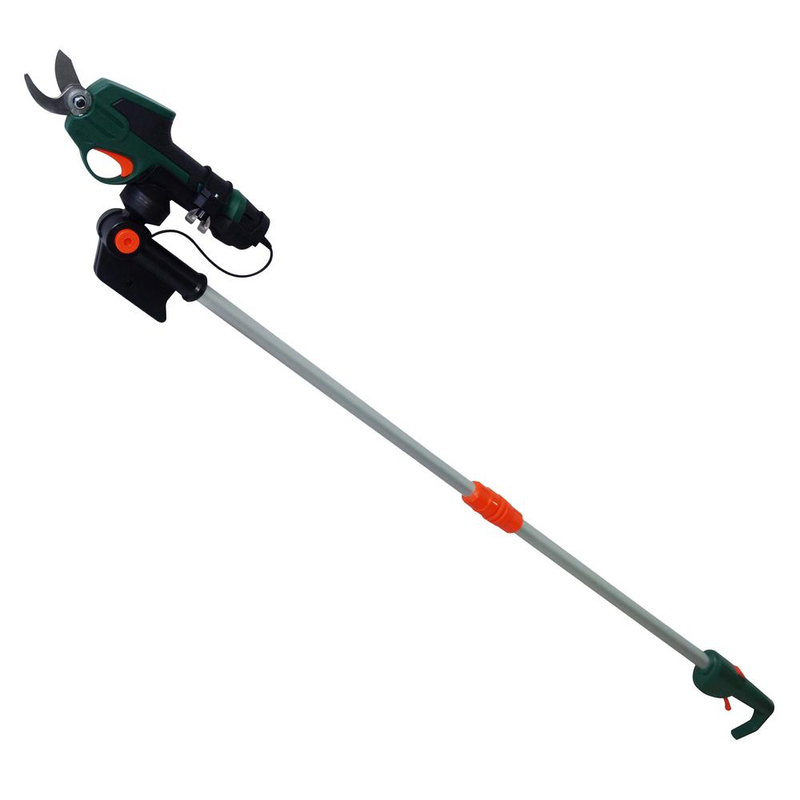 Includes a 5.5 ft. telescopic pole to prune trees and other hard-to-reach areas. Simply hold down the dual pull safety trigger and let the cordless pruner take over from there. This pruner is ideal for bushes, roses, woody stems and branches. The ergonomic hand-held design reduces fatigue, allowing you to work pain-free. Maintaining the yard and garden just got a whole lot easier. 2-year warranty. The Scotts Cordless Pruner is powered by a 7.2-Volt lithium-ion battery, giving you up to 800 effortless cuts per charge. It is ideal for bushes, roses, woody stems and branches.